Unknown location, crazy people walking on chimney or inspecting some lightning rod in about 180 feet of altitude above ground. About 1920, probably Eastern Europe due to the many chimneys in the background. 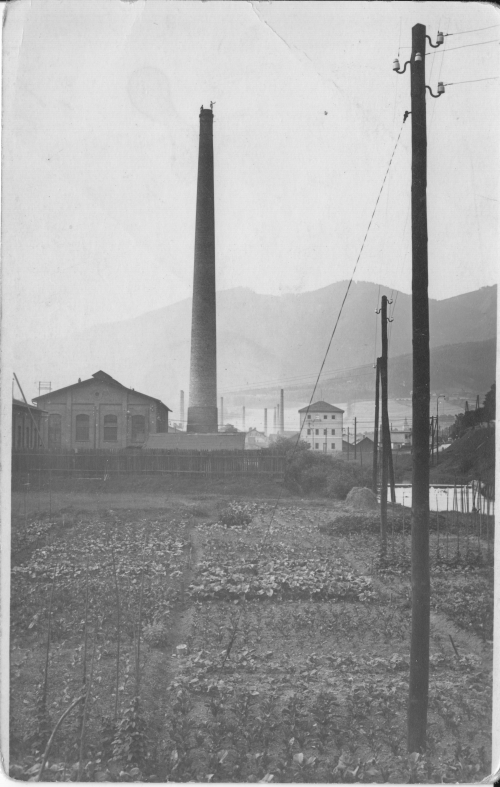 Maybe a steel-mill somewhere in Northern Moravia, Czech Republic, former Czechoslovakia.